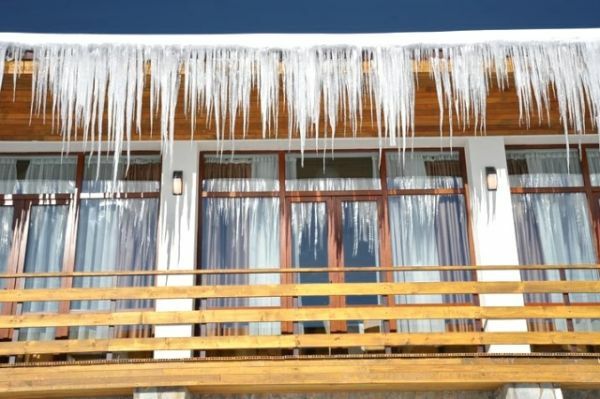 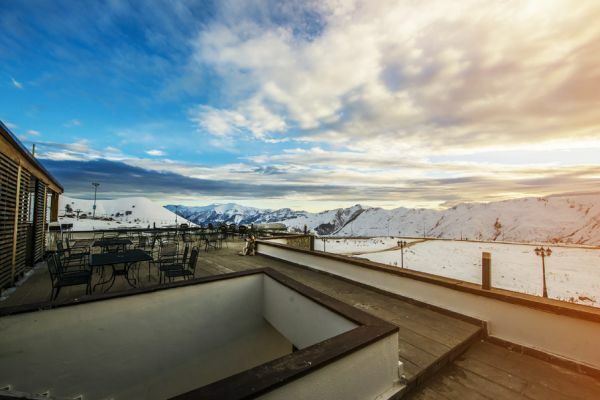 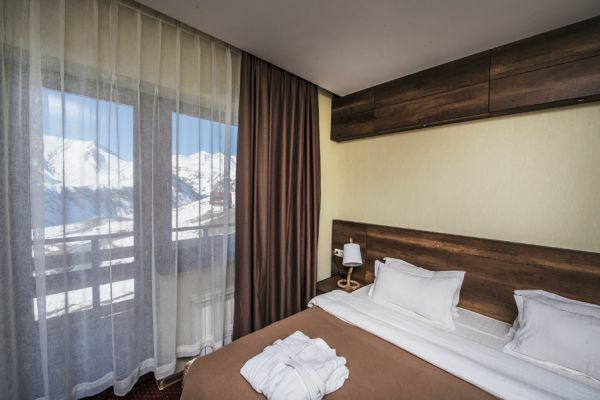 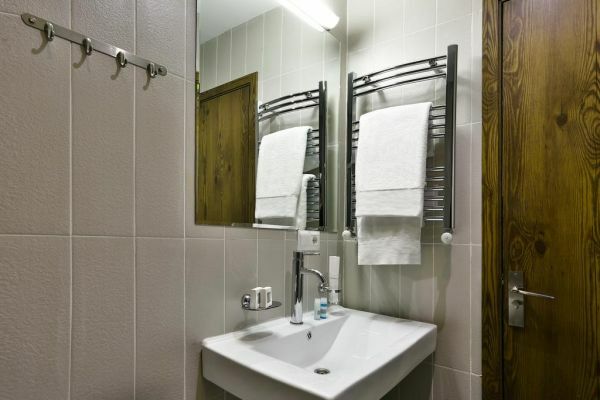 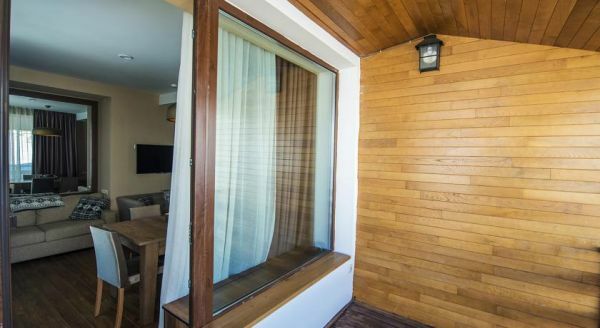 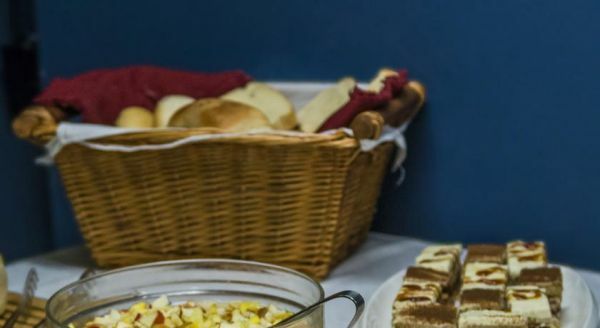 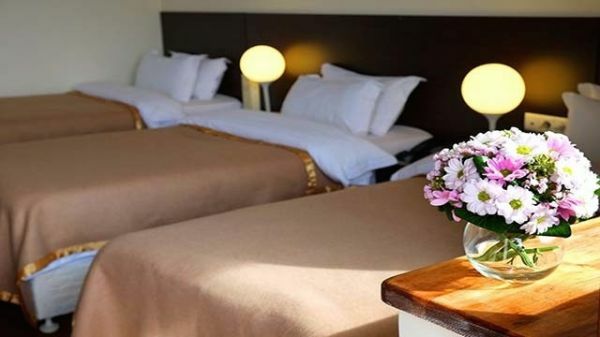 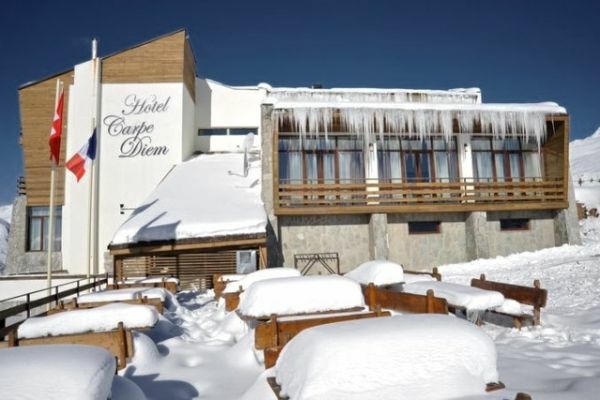 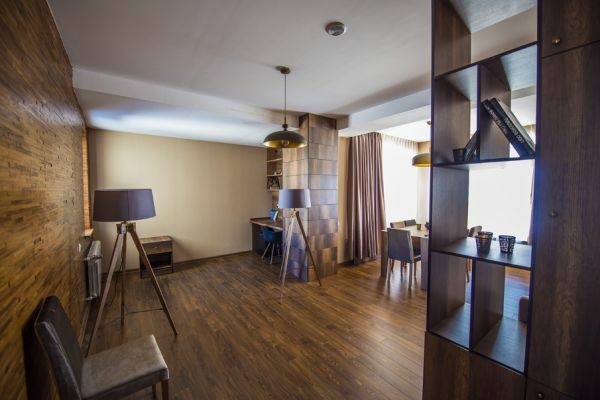 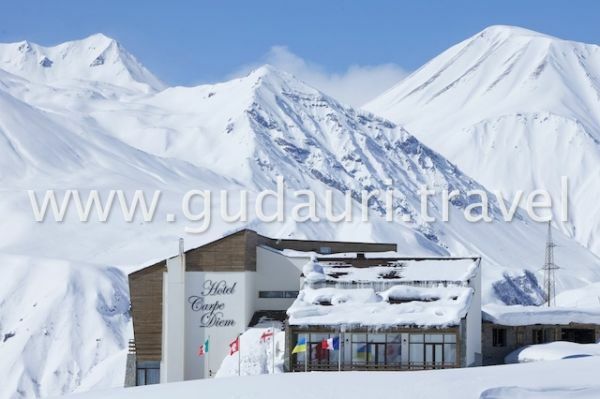 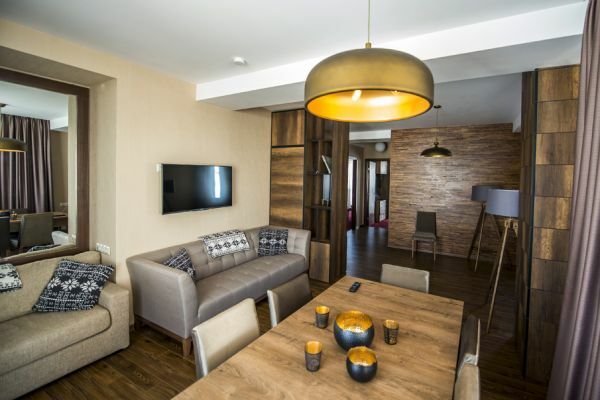 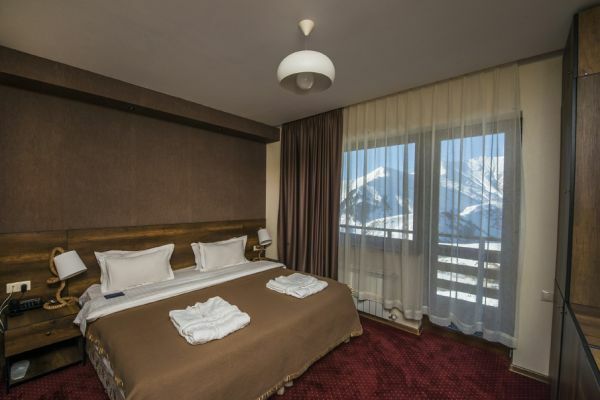 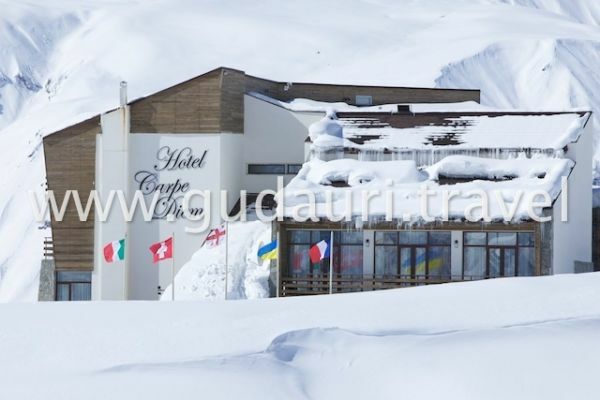 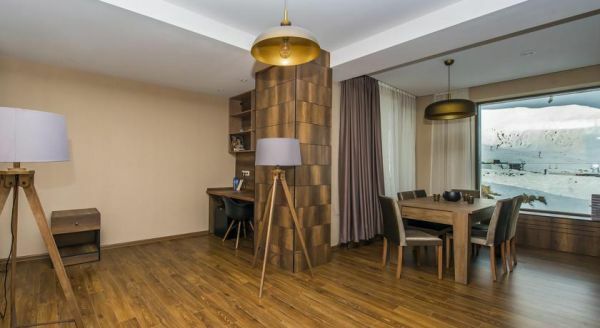 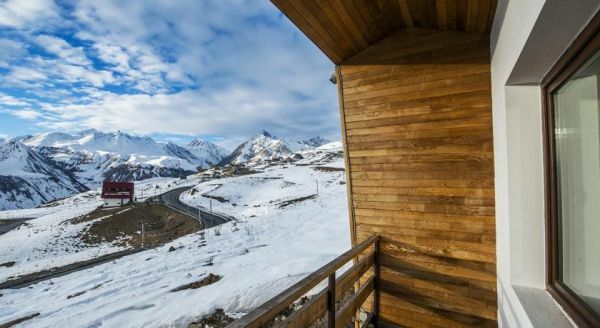 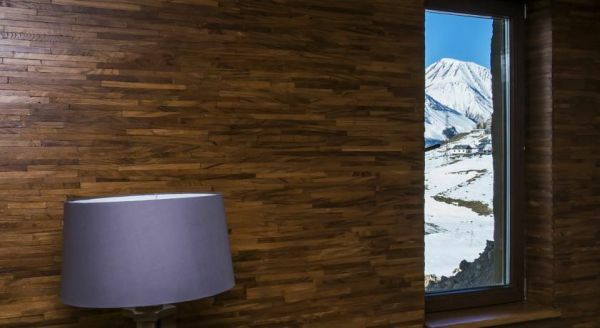 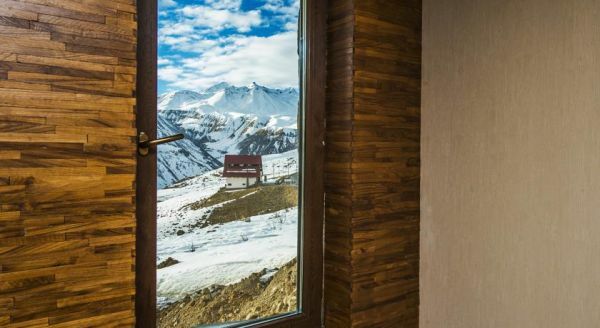 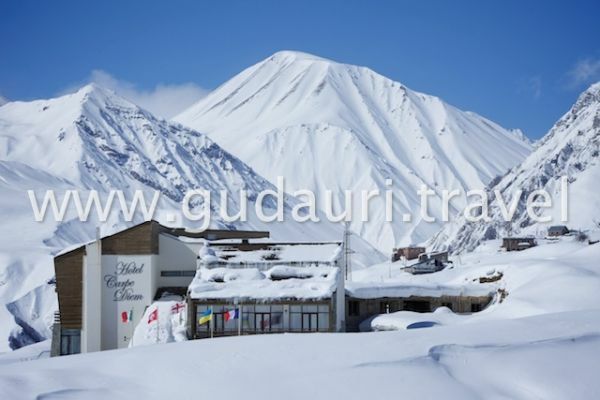 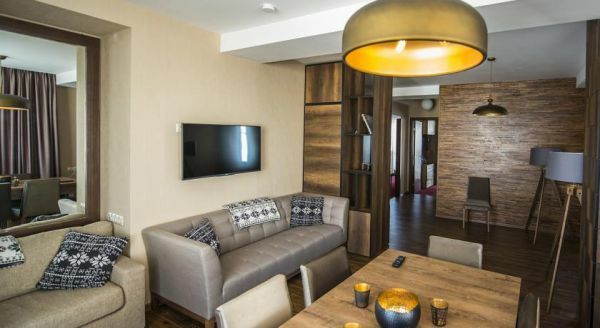 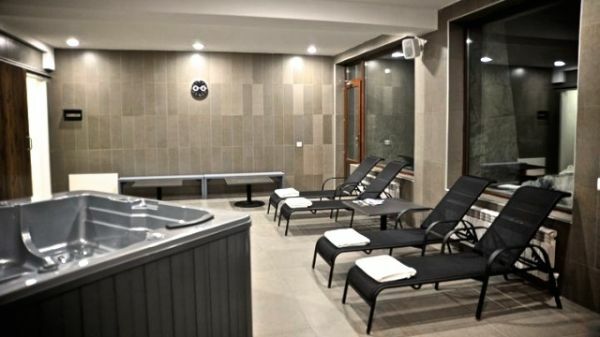 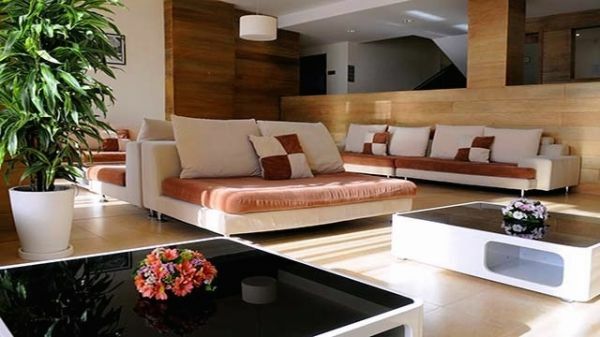 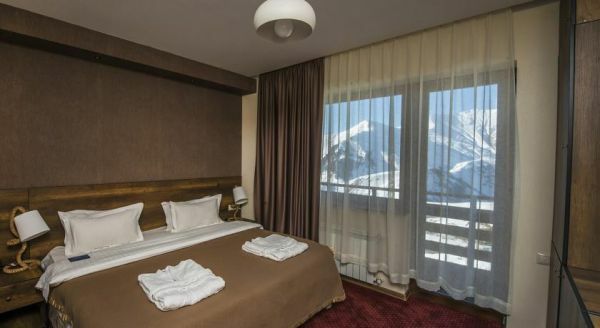 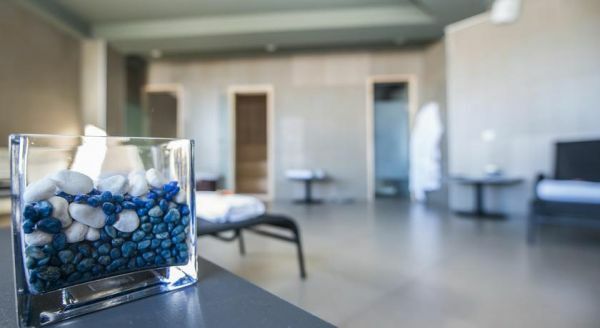 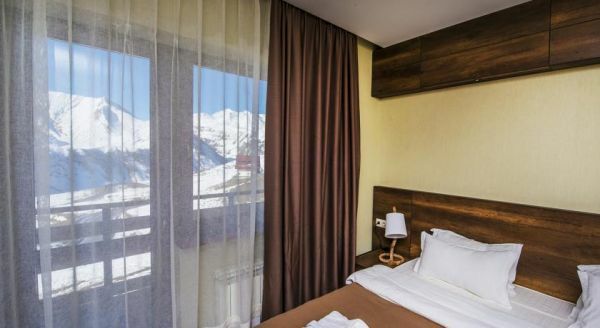 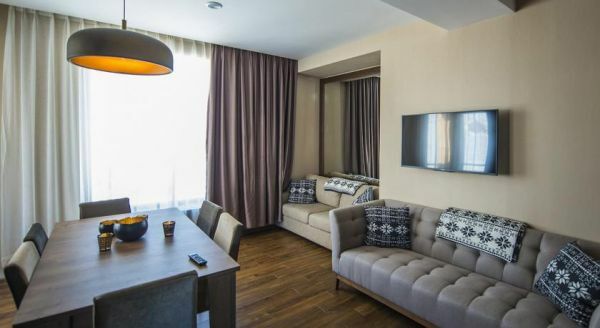 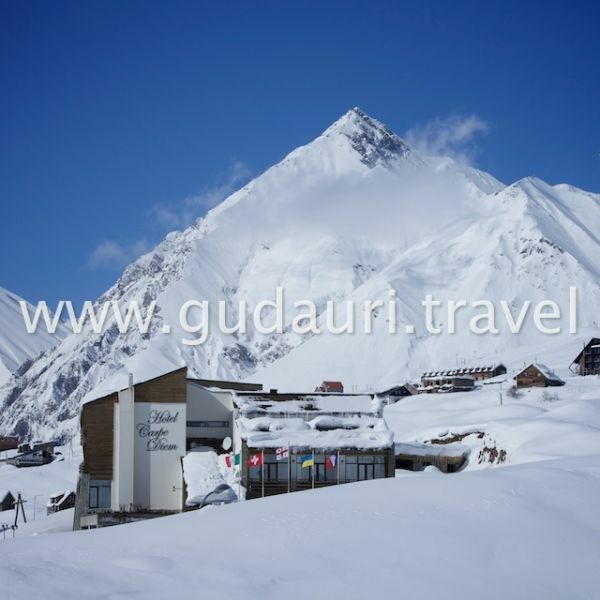 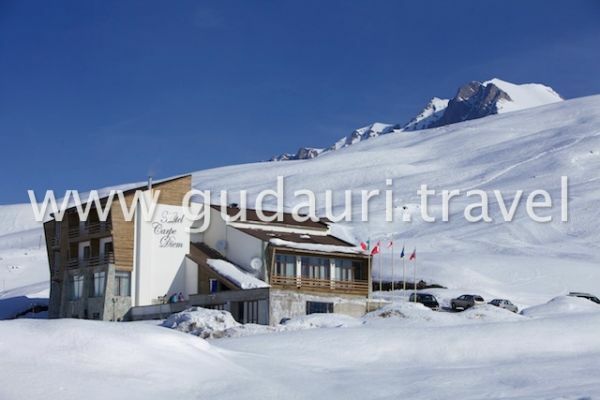 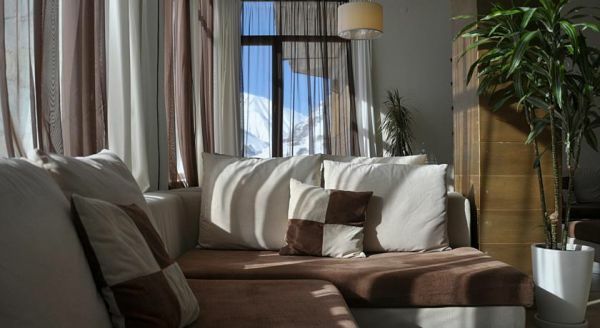 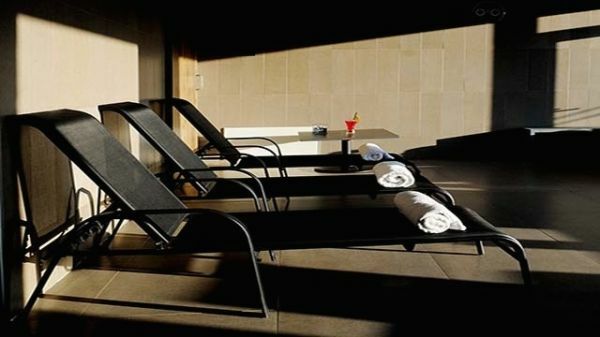 Hotel Carpe Diem (translated from Latin – “Live the present”) - comfortable hotel, located in Gudauri Ski Resort between the 1st and 2nd stages of the ski lifts with beautiful laconic design. 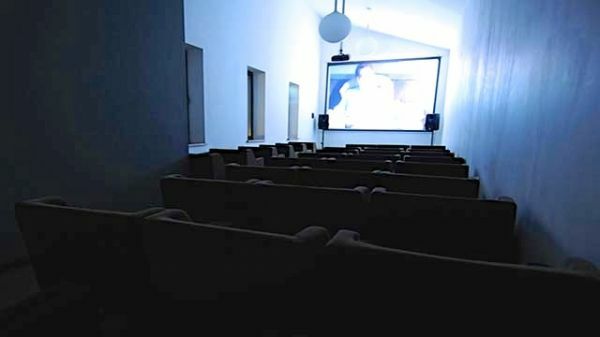 It was opened in 2011. 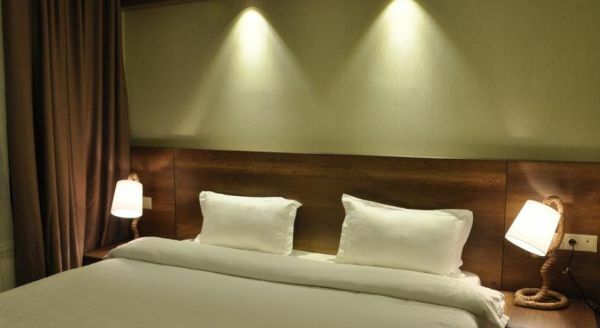 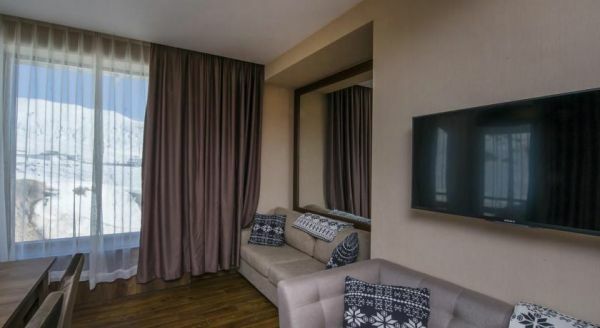 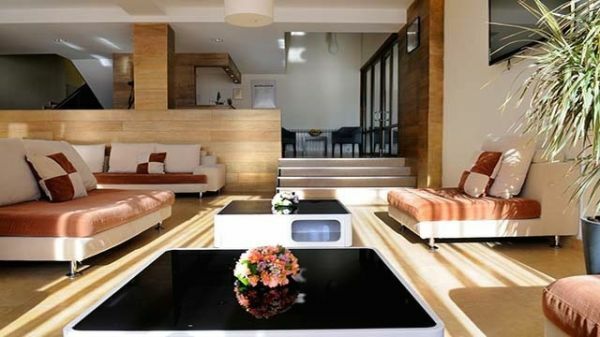 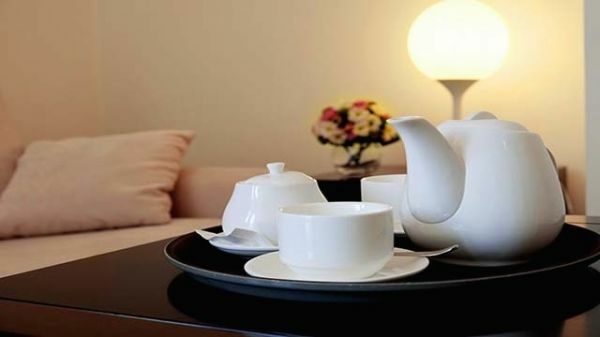 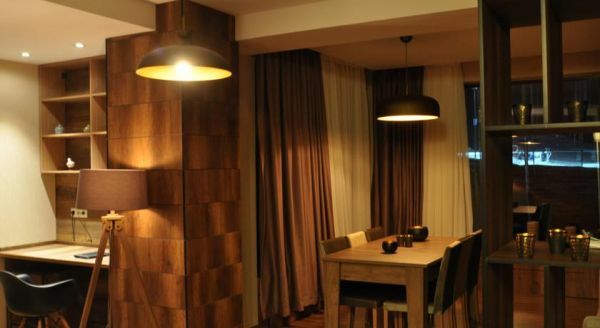 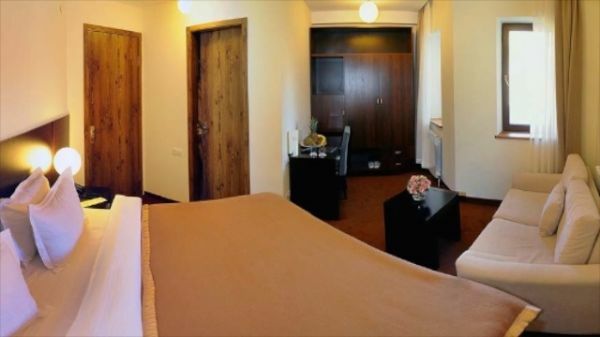 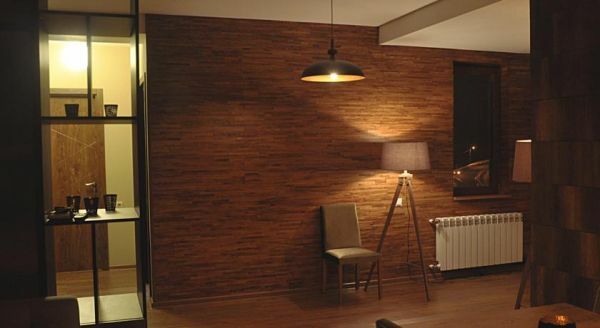 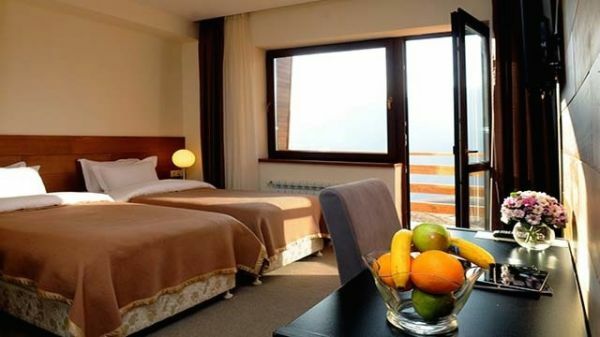 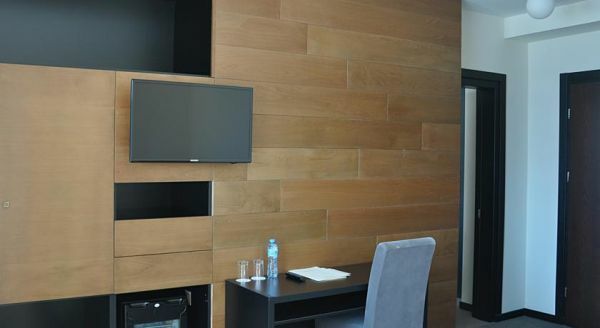 The rooms are decorated in calm neutral tones, comfortable furniture, panoramic windows, and balconies. 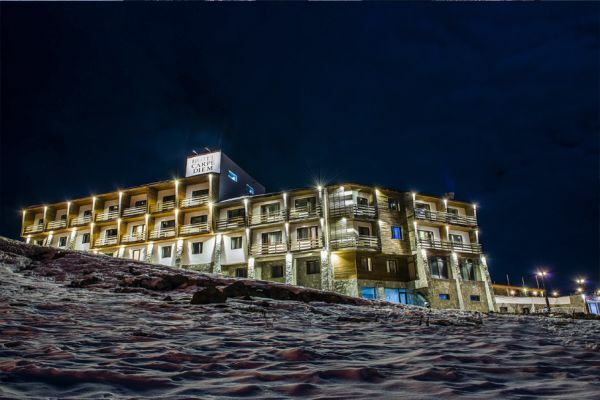 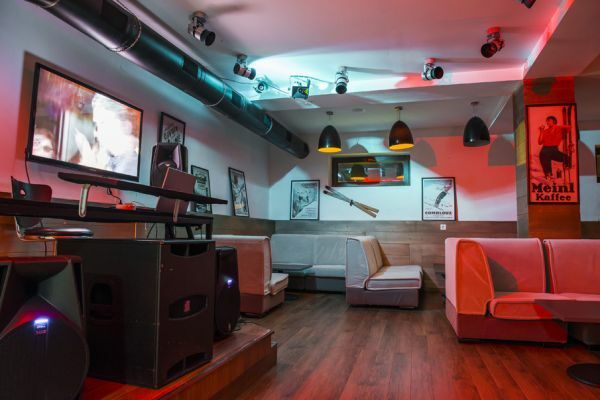 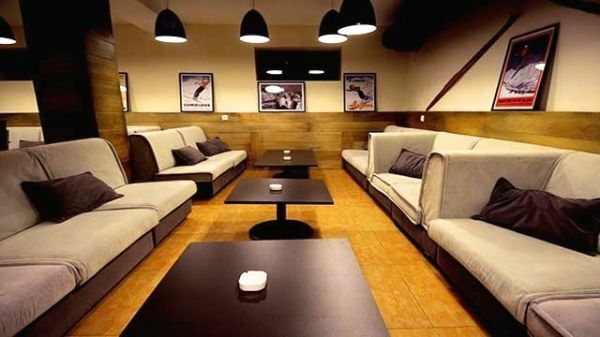 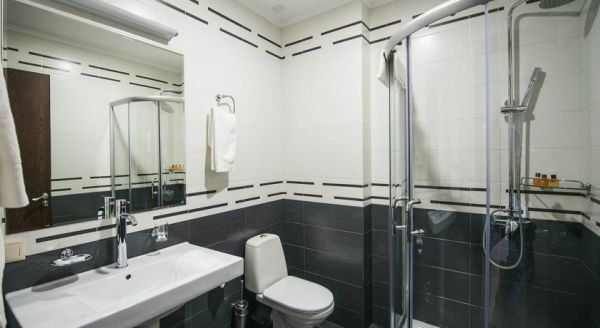 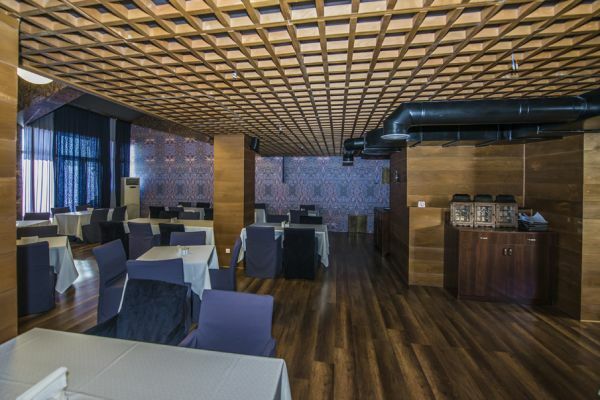 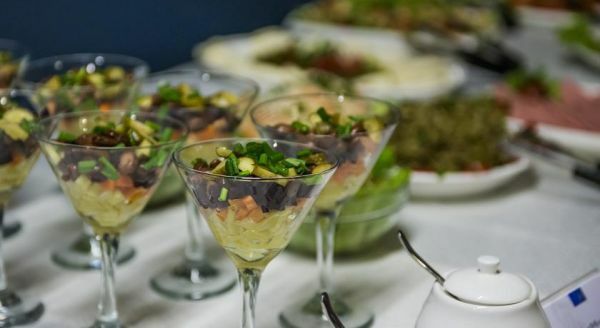 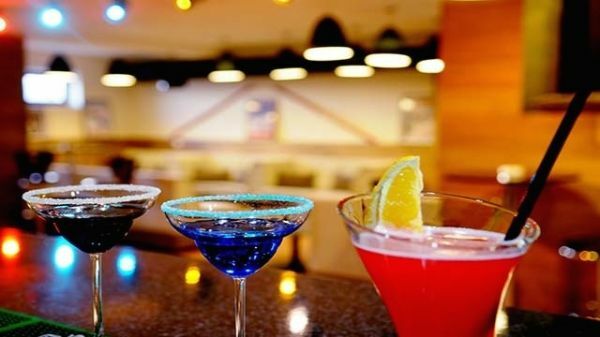 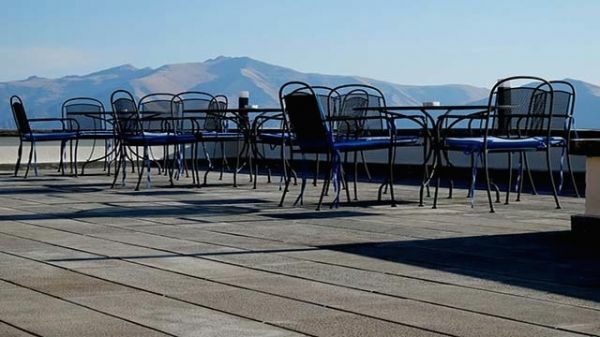 The hotel has a large restaurant, a comfortable lounge area, a vibrant nightclub, a cinema, a sauna, ski rentals, and a terrace that offers a beautiful view. 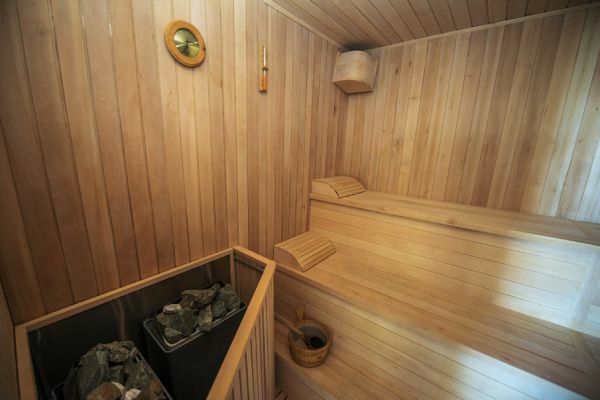 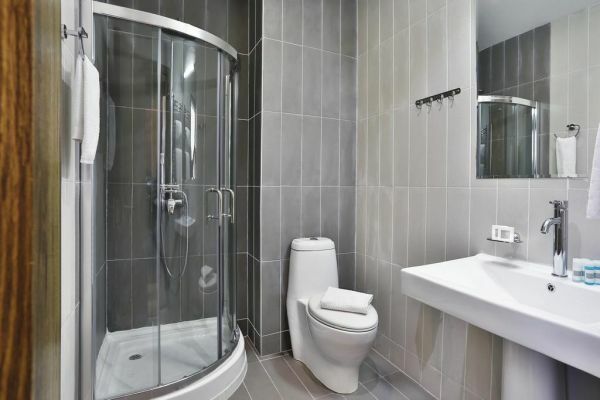 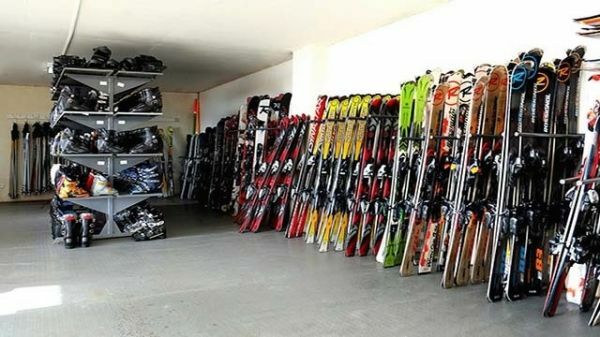 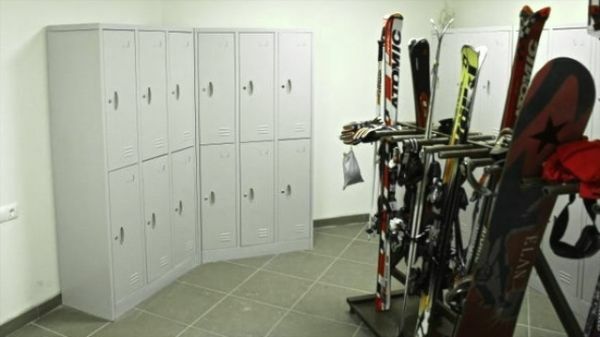 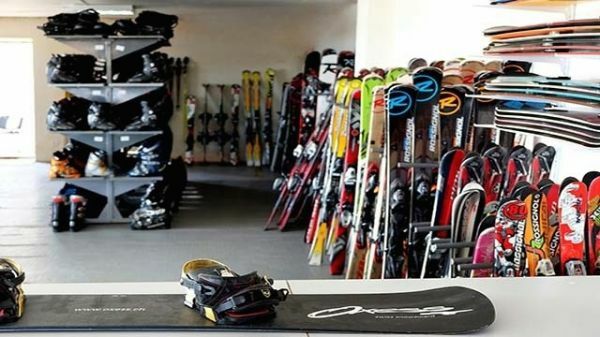 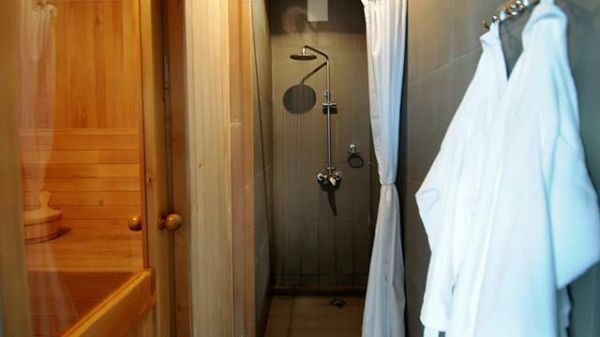 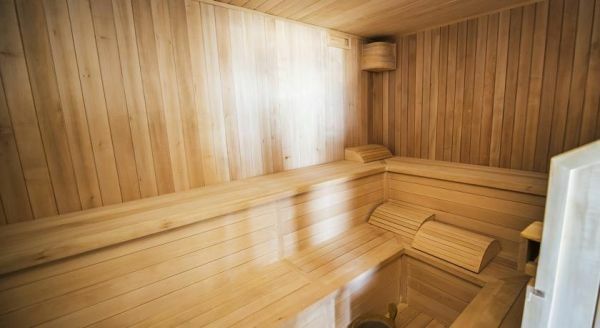 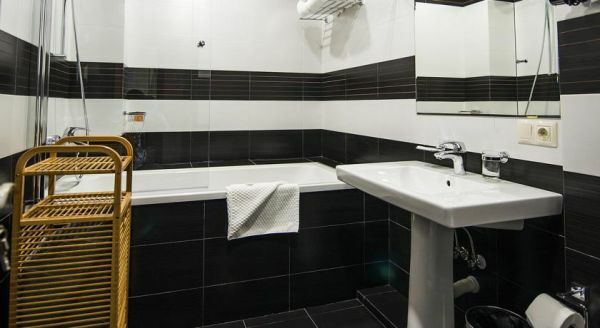 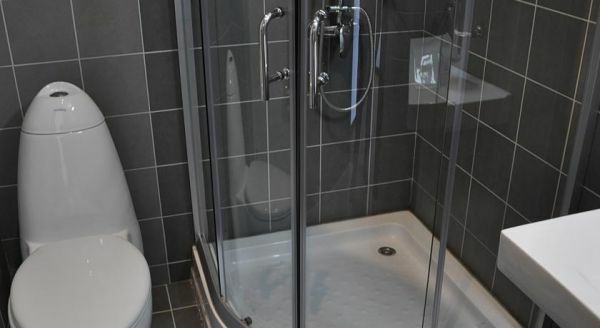 It is located in very close proximity to the ski lift, Ski in Ski out. 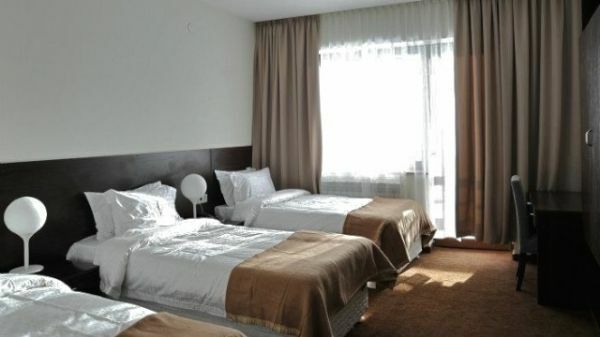 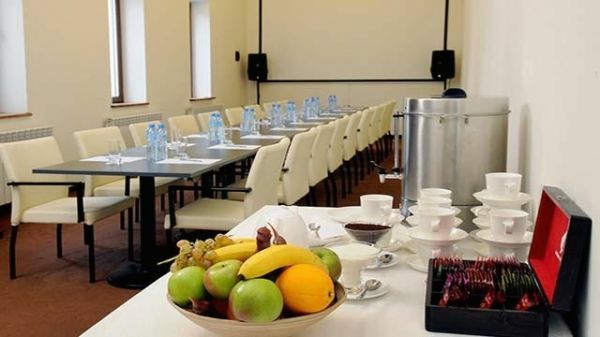 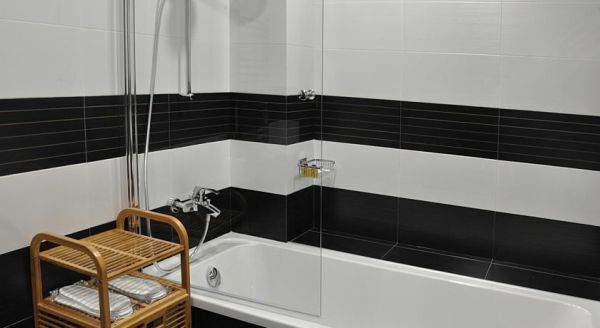 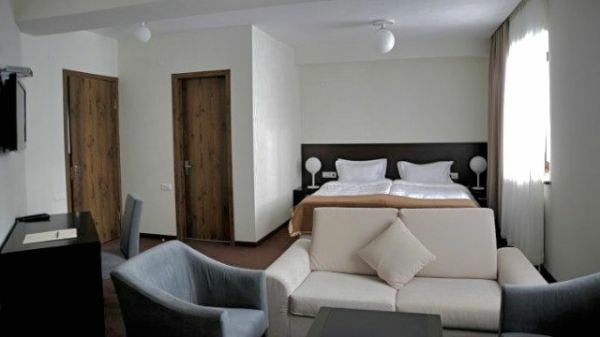 Room price includes: breakfast and dinner (buffet), high-speed Internet, cinema (daily), sauna. 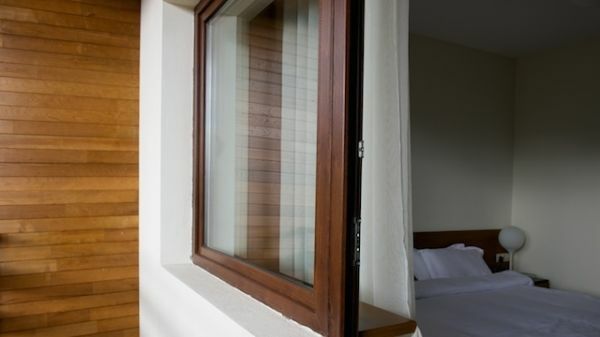 Free accommodation for a children up to 6 years. 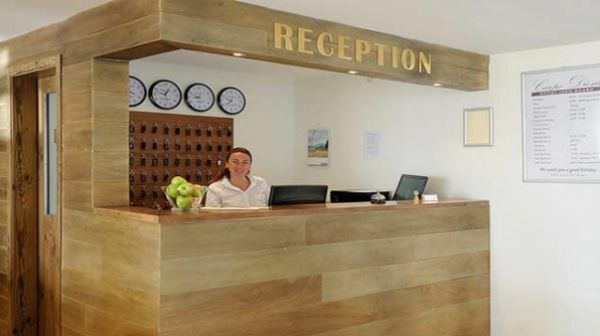 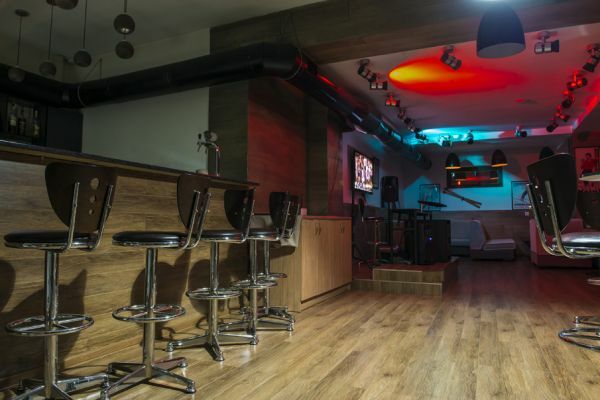 Wann möchten Sie im Carpe Diem Gudauri Hotel übernachten? 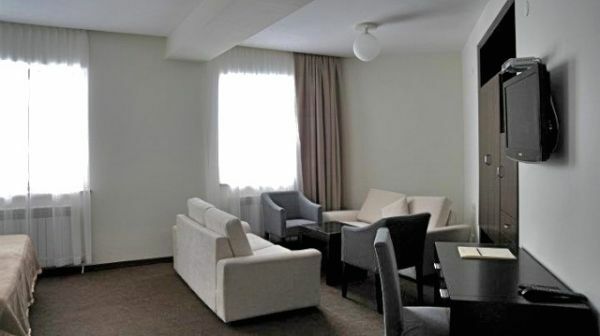 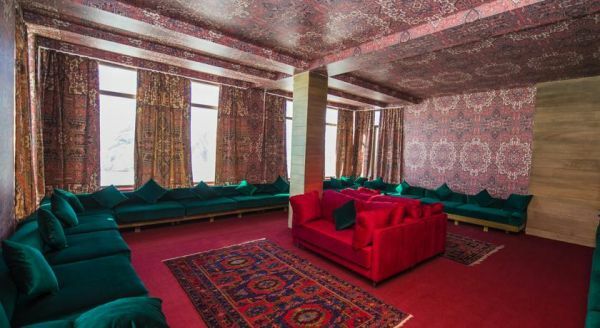 Das Hotel hat 7 verschiedene Zimmertypen und insgesamt 53 Zimmer. 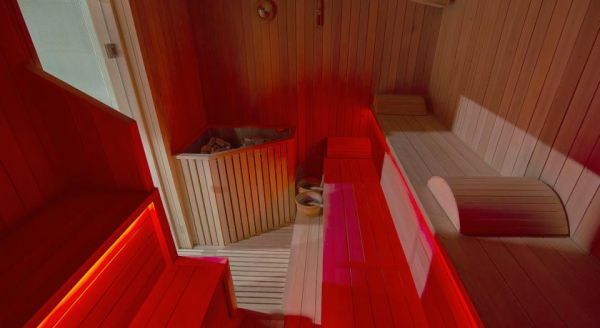 1% Rabatt für last minute Buchungen. 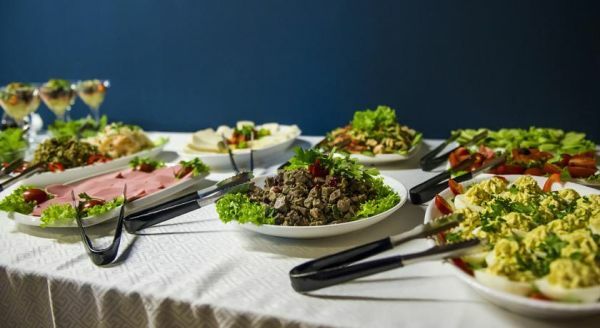 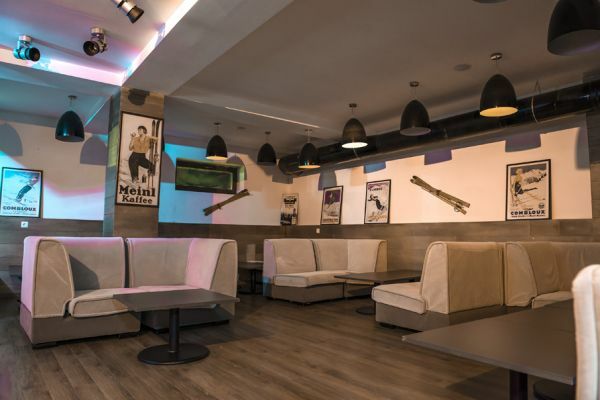 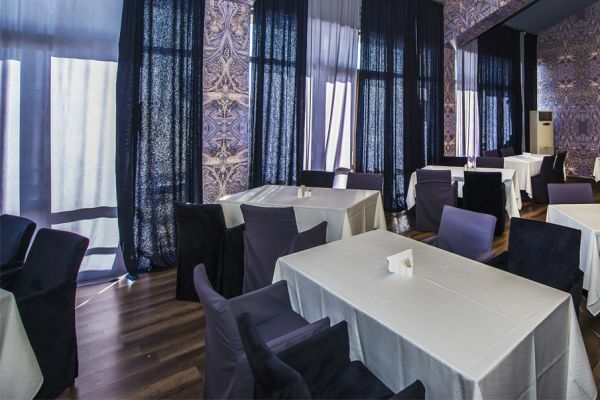 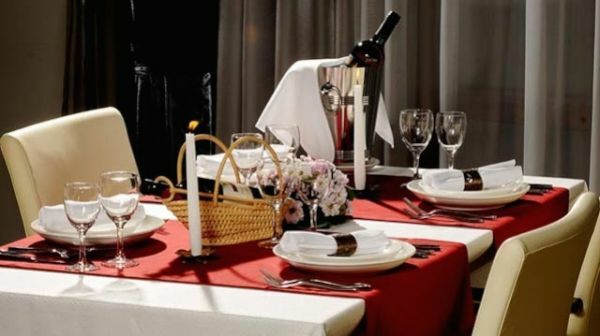 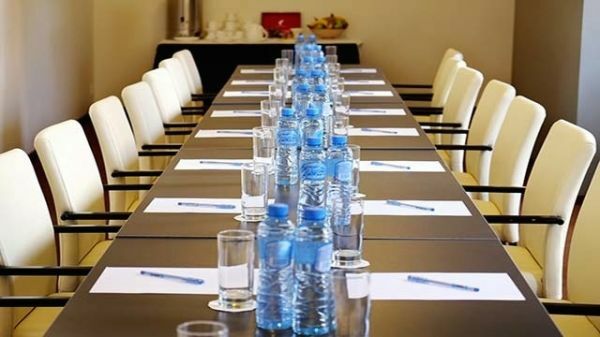 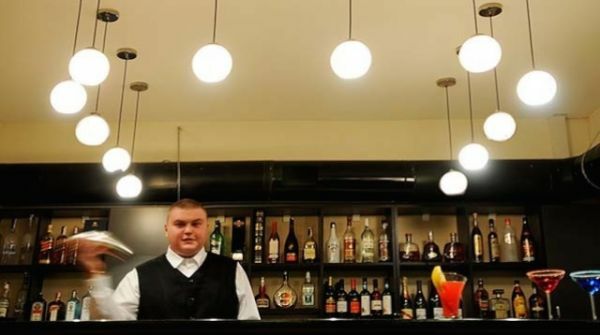 Die letzte Buchung für Carpe Diem Gudauri Hotel war am 16 April 11:09 aus Romania.